Committing to a healthy lifestyle takes planning. You plan what you're going to eat, prep your meals and easy to grab snacks, and you try to arrange your schedule to include some sort of physical activity. 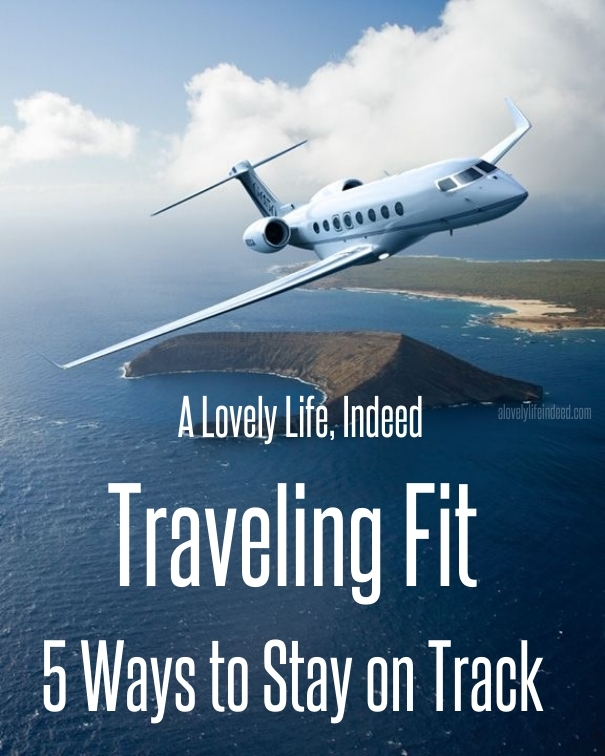 Here are five ways to stay committed to your fitness goals, even when you're traveling. 4. Shop and cook when you can. This is better for your wallet and your waistline. When you do go out, grilled protein and a veggie is a great choice. Order your salad dressing on the side and dip your fork before you take a bite, instead of pouring it all on top. You can decline the bread basket if you want, and if you're ordering dessert, one dessert split among many can give you the bite of sweet that you want without overdoing it. 5. Enjoy a treat now and then. Don't deprive yourself of your favorite things. Eat a cupcake, and then work off a cupcake. Travel and healthy living can go hand in hand. Plan and prep where you can and when you can't, use what you know to make good, healthy choices. And enjoy the treats. 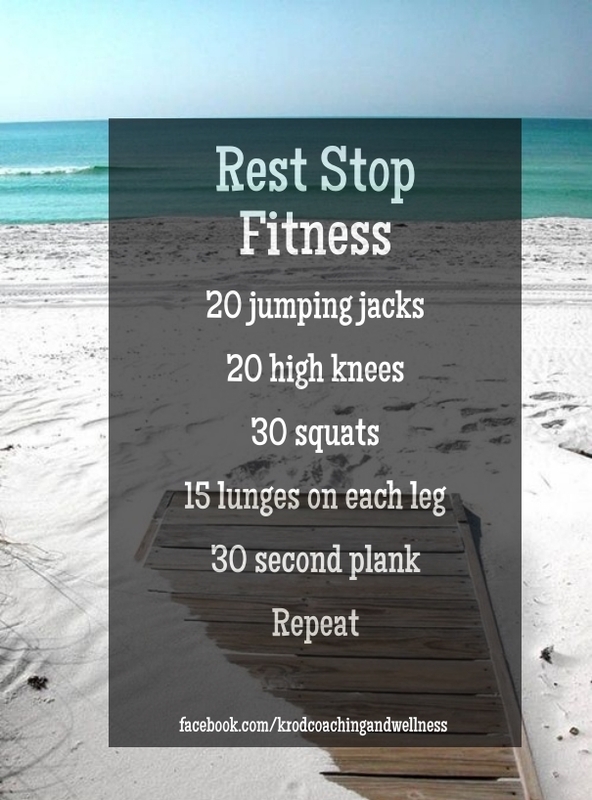 What is your best tip for staying on track with a healthy lifestyle when you're traveling? Awesome tips, Kelly! You always have the most clever ideas. 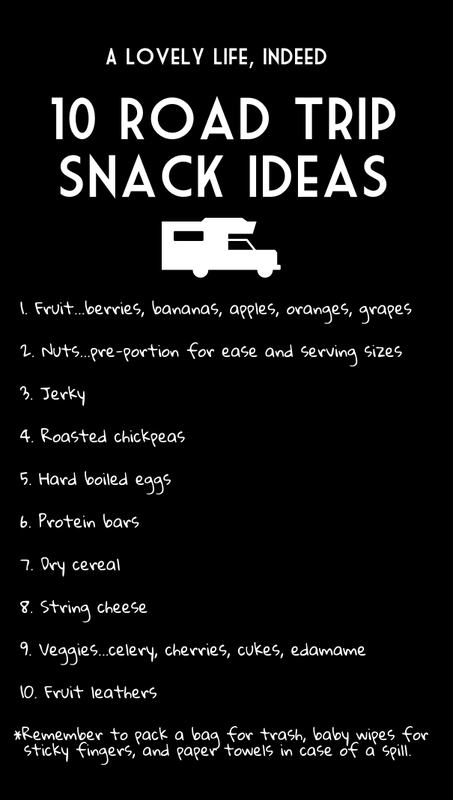 Your list of travel snacks made me remember fruit leather and edamame! They're true loves of mine in Canada, but I've never seen them here in Spain. Bringing your own snacks is the best one. That helps me stay on track. I love traveling. I don't usually worry about exercising on a trip because we end up walking for hours every day on city tours. If we're with a group we make sure to go with the active walkers. Hi Kelly, what a great list, practical and handy to keep around especially in the summer months when folks are traveling more often. A check off the list-to have at hand leaves one less thing to think about in the planning! I should probably plan ahead more as I am sure it would help get my weight loss moving a bit faster, but I am happy with the 25lbs so far - it has been slow, but I am finding that it is staying off and I am having more success with it than ever before. Slow and steady is the way to go, Molly. It has to be a lifestyle change made up of small changes done consistently over time. It's the only way to go. Congratulations on your success! I agree, Peggy, that having a checklist is key. Planning is so connected to success. Leave less to chance and poor choices. Me too, Kerry. I can eat out more easily knowing I have stayed on track for most of my day.